His Girl Scouts Rock . . . Welcome to His Girl Scouts Rock.org where girls grow strong in character, leadership skills, Jesus, and outreach ministries. 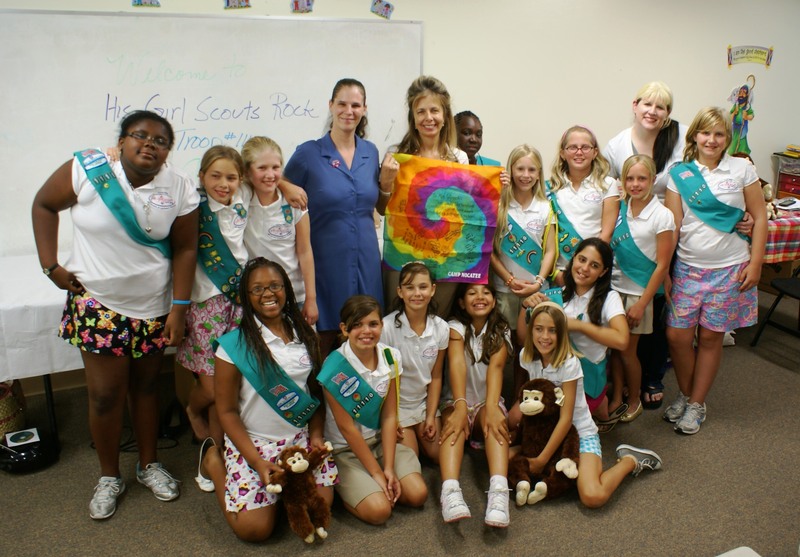 Girl Scout Troop #11110 serves girls in grades 4 through 8 in Fort Lauderdale and Oakland Park, Florida. Girls in grades 4 and 5 are Junior Girl Scouts and girls in middle school are Cadettes. Girl Scouts has a proud history—founded by Juliette Gordon Low in 1912 in Savannah to introduce young girls to the outdoors and activities they didn’t normally get to do. Our mission statement encompasses the Girl Scout Law and Promise and a strong commitment to Jesus Christ. Our goal is to mentor girls to become community leaders and be a light for others through fun activities. These are just a few of the activities we enjoyed in the 2010 – 2011 Girl Scout Year: Camping, cooking, horseback riding, sewing, kayaking, campfire cooking, car washing, Girl Scout Cookie Sales, feeding the families, helping the homeless, a toy and clothing drive benefiting 31 children at Christmas time, helping abandoned animals through Animal Aid, singing, jewelry making, pottery making, adventure sports, talent shows, learning to build campfires, cooking s’mores and so much more! And to be a sister to every Girl Scout.